Serendipity or any other logical explanations are totally illogical when we look back and remember the sequence of events, writes Dr. Sunny Anand from Arkansas referring to Bhagawan’s unseen hand that was operational in executing a service activity initiated in His name. How often we are aware and how often we acknowledge the Divine for such simple but obvious providence from the Greater Heaven that makes our mission moving. Read on the story of HARMONY, “Healing ARkansas’ MOst NeedY”, a humble ministry of Divine Love for humanity. Read on a narrative from Dr. Kanwaljeet Singh Anand of the U.S.
Dr.Kanwaljeet Singh Anand is a doctor of repute from the United States, Professor of Pediatrics, Anesthesiology, Pharmacology & Neurobiology. He did his doctoral degree from Mahatma Gandhi Memorial Medical College, University of Indore, Indore and to a PhD from Jesus College, University of Oxford, UK. Currently Dr. Ananad is the Director, Arkansas Children’s Hospital Research Institute Pain Neurobiology Laboratory. On Sept. 5, 1957, the city of Little Rock, Arkansas became infamous as an example of racial violence and intolerance, communal strife and injustice, economic exploitation and inequality, when widespread riots erupted after the desegregation of Black and White Americans in government-funded public schools, in particular the Central High School. Governor Orval Faubus ordered the Arkansas National Guard to prevent Black students from enrolling at Central High School, which was an all-White school, in direct defiance of the 1954 Supreme Court decision that made segregation in public schools illegal. President Dwight D. Eisenhower, as the chief law enforcement officer of USA, knew he had to act boldly. He placed the Arkansas National Guard under federal control and sent 1,000 U.S. Army paratroopers from the 101st Airborne Division to assist them in restoring law and order in Little Rock, Arkansas. Even after the election of President Bill Clinton from Arkansas in 1992, the city of Little Rock continued to carry the dirty mark on its reputation – as a center of racism, discrimination, and bigotry! But the Divine Grace of our Beloved Sathya Sai Baba has manifested in a unique way to finally erase this black mark from the beautiful face of this city. Very few people may truly realize the far-reaching influence of our Beloved Swami’s Love in the lives of people all over the world. The current sequence of events was set in motion when Swami directed His instrument, Dato’ Jega Jegathesan to visit Little Rock in March 2006. In honor of his visit, the Sri Sathya Sai Baba Center of Little Rock coordinated several local community groups and organizations to arrange a lecture and panel discussion at the Clinton Presidential Library and Museum, inaugurated by the City Mayor Jim Dailey. To a hall packed with >400 people, Brother Jegathesan spoke about the “Role of Religion and Ethnicity in Building a Caring Community and the Nation”, and challenged everyone to join together in providing free health care to the poor and uninsured Arkansans. Immediately after his visit, the Sathya Sai Baba Center invited medical volunteers from various groups to start working on a plan for providing free-of-charge medical care. A coordinator of the Arkansas Inter-Faith Alliance, Rev. Joyce Hardy, introduced this group to another group of volunteers who were inspired by the Volunteers in Medicine Institute (VIMI) based in Vermont, USA. Funds provided by the United Methodist Conference of Arkansas were utilized to cover the travel-related expenses of hosting a VIMI representative for a series of public forums on how to start a free clinic. Through the efforts of the Arkansas Inter-Faith Alliance these groups coalesced and started working together on this project from April, 2006. On July 25, 2006, Central Arkansas Volunteers in Medicine Clinic (CAVIMC) was incorporated and decided to conduct its business as “Harmony Health Clinic”. This name is meant to represent the harmony and interconnectedness between a healthy mind, body, and spirit, as well as the diversity of individuals who founded the Clinic and those benefiting from its services. “Harmony” is also an acronym, inspired by Swami, which stands for “Healing Arkansas’ Most Needy”. Swami’s Grace was evident from the very beginning of this project. Whenever any need arose, somehow the people or resources required to fulfill that need would appear. Serendipity or coincidence or other “logical” explanations are totally illogical when we look back and remember the sequence of events. There can be no other explanation but the constant, direct, moment-to-moment divine interventions that made this project possible, or made it progress at warp speed. Bureaucratic delays disappeared!!! Certification of tax-free status from the Internal Revenue Service (IRS), which normally takes 6-8 months minimum, was obtained in 6-8 weeks (in June 2007). Somehow, miraculously, a detailed Business Plan was prepared by July 2007, a fundraising campaign was completed in September 2007 with 100% participation from all Board Members, and an interactive website) was launched in October 2007!!! By November 2007, we had located a site for the clinic and our proposal was approved unanimously by the Board Members of the Little Rock Housing Authority (LRHA). When Dato’ Jegathesan returned to Little Rock, he was amazed to see the progress!! He spoke at an Open House for Volunteers on March 6th that was inaugurated by Arkansas’ Lt. Gov. Bill Halter and Congressman Dr. Victor Snyder. After this function, were confident that the clinic could be opened by early summer, but then Bhagawan showed us who is in charge. Legal problems struck and the lease for the property was delayed further and further!! Month after month passed without any resolution of the legal battles…. Finally, when all the volunteers gave up and surrendered their efforts to His Grace, everything fell into place and a rent-free lease for the clinic facility was signed on July 2nd 2008. Later, in hindsight, we all realize how this delay had been a GREAT BLESSING in disguise. A hailstorm occurred in May, which revealed major damage to the roof and multiple water leaks, such that the Housing Authority was forced to repair the roof at their cost. Another “accident” occurred when a construction crew was digging behind the property and damaged the water pipe leading to the office building. At that time, we discovered that a ½ inch water pipe was adequate for an office building, but was grossly insufficient for the clinic’s needs. Again the Housing Authority agreed to replace the entire water supply with a 1 inch pipe!!! Not even in our dreams could we have thought about needing a larger pipe for the water supply!!! As soon as Young Adults from the Sai Organization heard about the news of this clinic, they wanted to come and serve! Despite having a heavy workload, they would drive to Little Rock from far off places like Memphis, Nashville (in Tennessee), Huntsville (in Alabama), and other places to join with the local YA’s and perform this seva of love. These youth spent their entire weekends working hard from morning till night…. they were completely immersed in sharing their Love for Swami, singing bhajans, chanting mantras, cheerfully cooperating and helping each other, while accomplishing a HUGE amount of work!! Tasks in the pre-lunch session included cleaning the parking lot from mud and dry leaves, moving the lawn, killing the weeds, painting lines in the parking lot, painting the curbside, outer walls of the building and outside stairs. Two or three people were constantly working to pressure wash the entire building, outside stairs, metal ceilings of the entrance, and the 200 ft handicapped ramp. Another team worked inside the building to strip the wallpaper, masking tape all handle bars and edges, got rid of all nails, filled the holes with plaster and then scraped it with fine sand paper. At this stage, all the youth joined in a spiritual graffiti competition!! They drew holy symbols and wrote Sai quotations so that when the walls were painted, these messages would be permanently embedded in the structure and continue emanating powerful spiritual vibrations. Painting of the walls was done with two layers of primer and then a final coat of colored paint, using the Parthi theme colors with light blue, pink, white and yellow for the outside and inside walls. 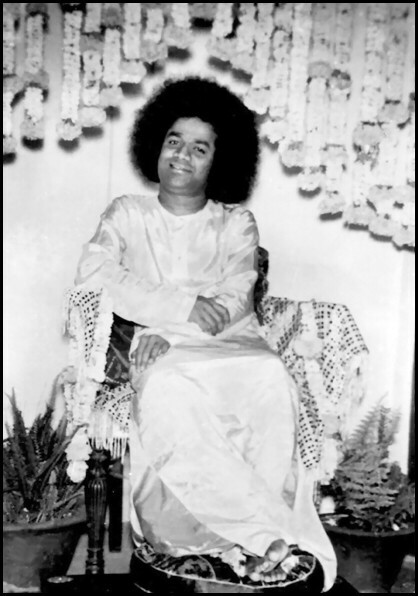 By the end of each day, with tired muscles aching with pain, all volunteers shared stories of Divine Grace, laughed a lot at the antics of our Sai Krishna, or simply sat back quietly grateful for His Presence in our lives. Miraculous events have continued to happen. Just when we thought that opening a free-of-cost Pharmacy may be too expensive, the Attorney-General of Arkansas called us and gave us an unsolicited cheque of $45,497.20!!! Just when we were thinking about where to get furniture and equipment for the clinic, a physician who had closed down her medical practice called and said she wants to donate all her clinic equipment and furniture!!! Just when we needed to send out a fundraising email to 2000 potential donors, an IT professional showed up with a software program written exactly for that purpose!!! The number of times that our Beloved Swami has come through with His Divine Intervention JUST AT THE RIGHT TIME cannot be counted. His Presence is felt by all who come to participate in this activity. At the same time, a powerful message of Unity goes out into the local community, because we have Sai devotees working with Baptists, Catholics, Muslims, Hindus, Sikhs, Jews and other faiths; people speaking English, Spanish, Hindi, or Chinese – all amalgamated into the language of Love; people from rich or poor classes, with black, brown, or white skin, with different professions and disciplines – all working towards One Goal. At this time the facility is almost ready. The Harmony Health Clinic will offer Primary Medical Care, Dental Care, Pharmacy services, Diagnostic services, Referral services, and Health Education to all those who cannot afford health insurance or get it from the government. We are scheduled to open the clinic on December 4th, 2008. No big fanfare, no inauguration ceremony, no attention-seeking event is planned; we will just say a brief prayer and open our doors to start this humble ministry of LOVE. We know that SWAMI will be there to treat and be treated, to serve and to receive, to cry and to wipe away the tears, to share and to care in every possible way, because He is in ALL and He indeed is all.